Have you been recently feeling that you need to apply few fresh techniques to your Instagram strategy? Even when you think you’re happy with the results which you find from your marketing campaign, don’t forget that there’s always room for improvement. The concerns of this article will tell you about the 4 Instagram marketing strategies which can boost your feeds and also create such an effect that helps connect, convert and also build your brand. You can make your Instagram feed look much better and also grow your followers with the below mentioned tips. Check them out. Social media marketers are often give the task of boosting the number of Instagram followers using people amidst their target audience. What is the best way to do this? Well, you can do this by coordinating with an influencer to schedule some Takeover Day. This day occurs when a brand permits an influencer to manage the Instagram account for a single day. It is common to plead an influencer to ask his community to follow the brand account which is being taken over. As long as the brand continues to post good content after the Takeover Day is completed, the followers of the influencer will stick around. Using hashtags are one of the fastest ways of boosting your reach on Instagram. In fact it has been noted that the posts which have at least 1 hashtag usually receive 12.6% more engagement. Before you start off with Instagram, just create a list of hashtags of your industry so that you can target your audience. Also keep a close eye on trending hashtags. Using a trending hashtag can help you target people who are outside your audience. As long as creating print ads are concerned or business cards, web design layouts, stick to a specific color which is dictated according to the style guide. After Instagram, there are many brands which forget about the guide they should follow and they often go rogue. Social media is a great way of trying out new ideas. 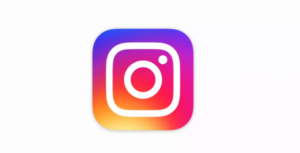 You can also gain benefits by creating an Instagram color palette and by sticking to it. Therefore, if you’re trying to create maximum impact out of your Instagram marketing, you should choose the above mentioned ideas.